We're Looking for a Social Media Manager! Setting up and co-managing Twitter chats with our social media intern who runs our Twitter. Reaching out to companies to set up giveaways and reviews. 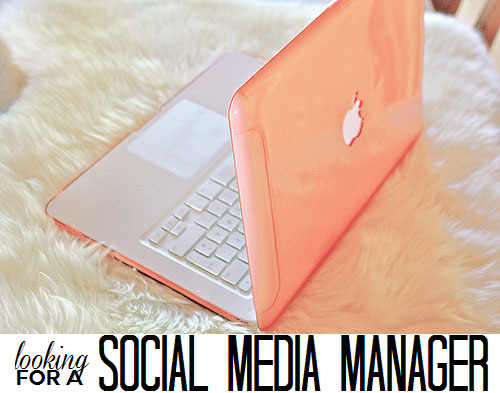 This position is unpaid, but provides first hand experience managing the social media presence of an online magazine. To apply, please send your resume and a short cover letter to stephany@collegegloss.com. It will be interesting to see who you choose. My company is currently looking for someone similar. Please let us know how your social media manager works out. Seems like we've been through a bunch already and haven't found what we need. Nicholas, what company do you work for? Have you guys already filled the position?